WordPress comes with a few user access levels and the ability to limit access to content right out of the box. 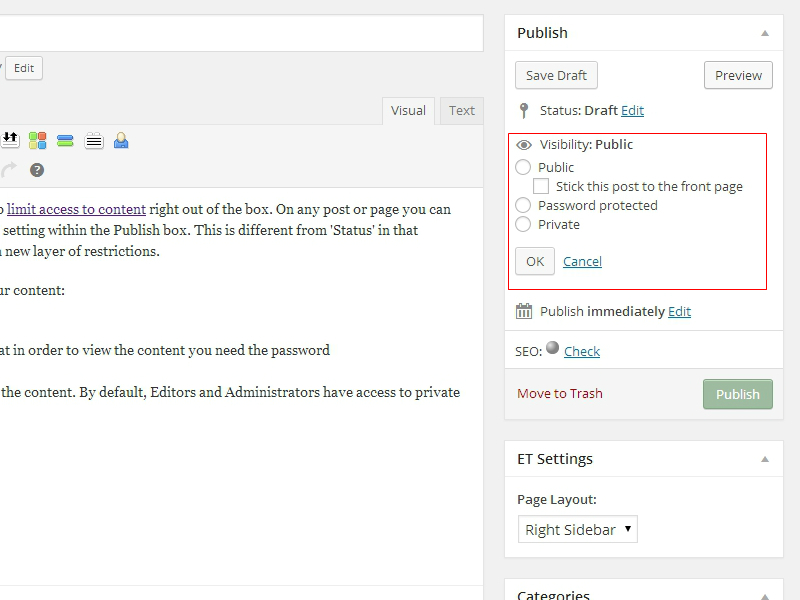 On any post or page you can control access to your content through the use of the ‘Visibility’ setting within the Publish box. This is different from ‘Status’ in that technically your content is published and Visibility introduces a new layer of restrictions. Only you and users with approved access can view the content. By default, Editors and Administrators have access to private content. A lot of this functionality can be extended with plugins or some code in your functions.php file. Understanding the basics helps you get the most out of Vanilla WordPress so you’re not bogging down your system with repetitive plugins.